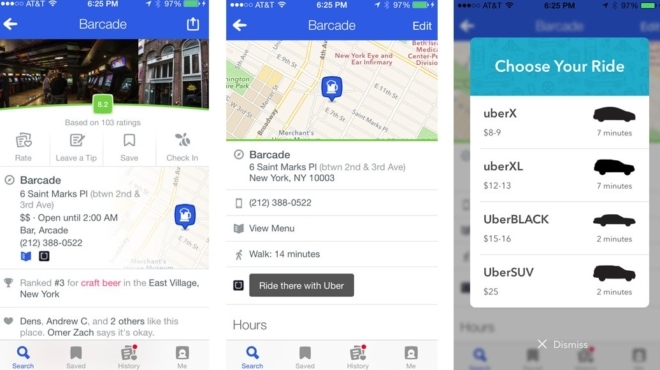 From now on, when you look up for a destination on the Foursquare app, you’ll see an Uber button alongside other details regarding that place. Tapping on the button will automatically load the destination’s address into the Uber app, where you’ll be able to select the car type (see image above). If you are a Foursquare user, but don’t have the Uber app installed on your smartphone, the ride-sharing start-up is offering a discount on your first ride (use the promo code “FOURSQUARE”).